Whether you’ve recently been in a car accident, need auto repairs, or are simply seeking a tune-up, finding a reliable automotive and alignment center in your area can be daunting. With so many shops to choose from, it can be difficult to know which one is right for you and your vehicle. You shouldn’t entrust your vehicle to just anyone. Even seemingly minor adjustments, like wheel alignment, should be performed by a professionally certified auto technician. Here are a number of great tips to help ensure you find a highly qualified and reliable automotive and alignment center in your area. If you’re looking for a reliable automotive and alignment center, the first thing you should do is ask people you know if they have any recommendations. Family, friends, neighbors, and even co-workers can offer great insight, especially if they’ve lived in the area for a while. Take special note of any shops you hear mentioned more than once. While it’s likely you’ve receive a plethora of automotive and alignment center recommendations, it’s important that you do some of your own research as well. Spend some time visiting company websites and reading through the information you find there. This will help you narrow down your options. Reading through customer reviews can be really helpful in determining whether a specific company is the right choice for you and your vehicle. Make sure you thoroughly read as many reviews as you can find. Pay attention to small details and note the areas the shop seems to excel in. You may find that some companies have great reviews pertaining to RV repairs, but are less proficient at brake work. 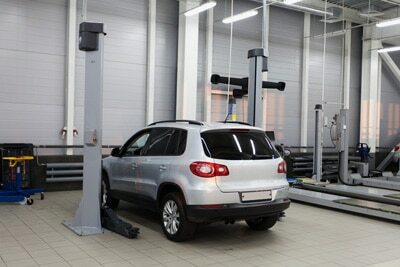 Looking for a Reliable Automotive and Alignment Center? Are you looking for an automotive and alignment center in your area? You search may be over! Contact Kohout’s Automotive & Alignment Center today to speak with a certified technician. We’ll be happy to answer any of your questions. Visit our website for more information about our company or call us directly at (360) 489-6815 to schedule an appointment. Posted on July 8, 2017 under in advice | By kahoutsauto.